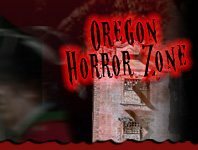 Bring out the scare in Halloween with the experience of one of Oregon’s Spook Walks / Haunted Trails. Hear about the ghost towns and the stories that continue to haunt people today. Experience fear in bone-chilling, heart-pounding new way as you learn and discover the old haunted west!